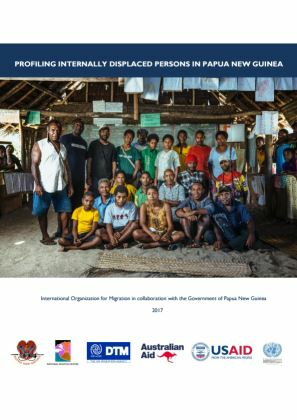 This profiling report presents the findings of a survey conducted in provinces hosting internally displaced persons (IDPs) in Papua New Guinea (PNG). 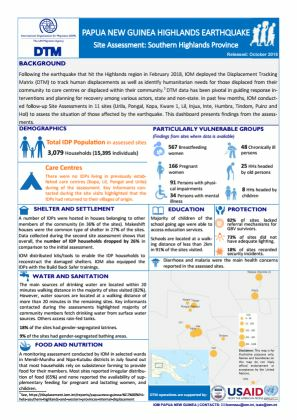 IDP profiling is a collaborative process that aims to improve the availability and quality of information on IDPs that can be used both for country operations and to monitor global trends. 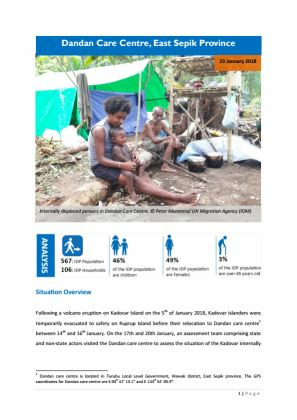 Data was collected through structured interviews with IDP households and key informants as well as observations in displacement sites. Key informants from the community were identified and interviewed to gather information from and about people staying in IDP settlements. 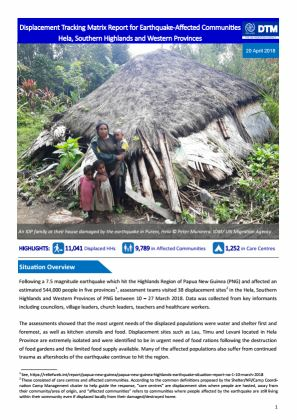 Both natural and man-made hazards have caused displacement and the findings indicate obstacles preventing durable solutions to the displacement. 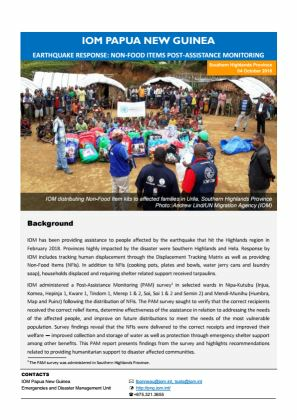 A significant proportion of the IDPs continue to experience challenges including limited access to livelihoods, lack of adequate standard of living, lack of safety, security and freedom of movement.